Oh, here's a cool one! 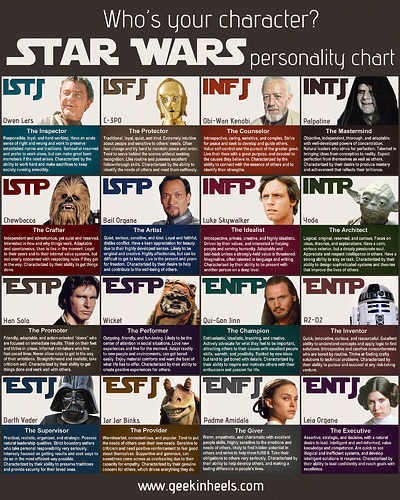 I'm apparently like Obi Wan, @Hanna_Brassheart is like Han Solo, @Xonos_Darkgrate1 is... PALPATINE? 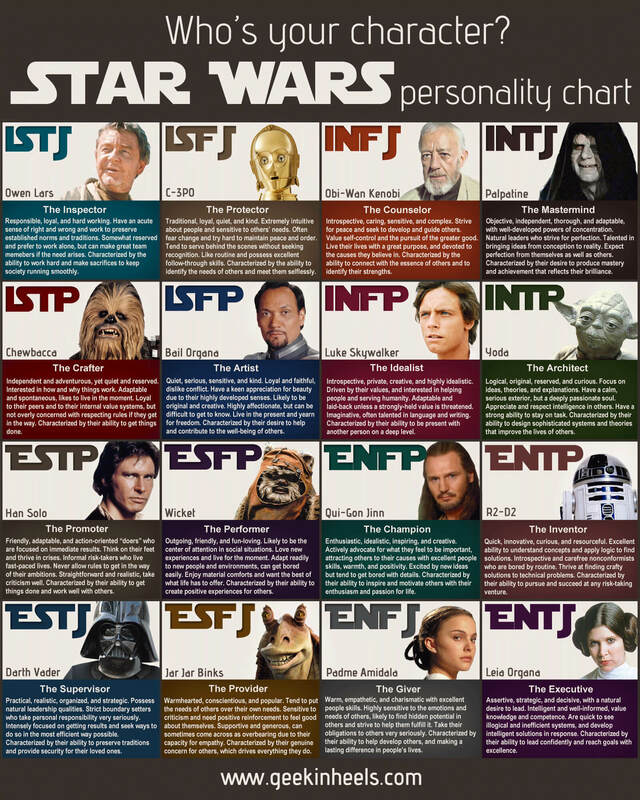 I'm not surprised.... (but that makes @Miss_S one, too...) All the Campaigners (@Annaliese_Dancemuddle @Pig_Larkcape1 @Arona_Copperburst1) are sorta like Qui-Gon, and @Iliara_Mustardtop you're PADME? Hmmm.... The Debaters are like Artoo. Great... I got a character that I don't even know. Anyways... That description does fit me. THE CAMPAIGNER IS 12% OF THE POPULATION, AND THE CONSUL IS 13%, BUT ALL I'VE MET ARE BASICALLY ALL CAMPAIGNERS AND NO CONSULS!?!? Haha.... anyways, tomorrow I will post a MLP one. "Enjoy being active and productive." It's the TED Talk on procrastination, btw. WHY IS IT A TRIPLE POST?!?! Yeah, I've joked for years that I'm some sort of evil villain. 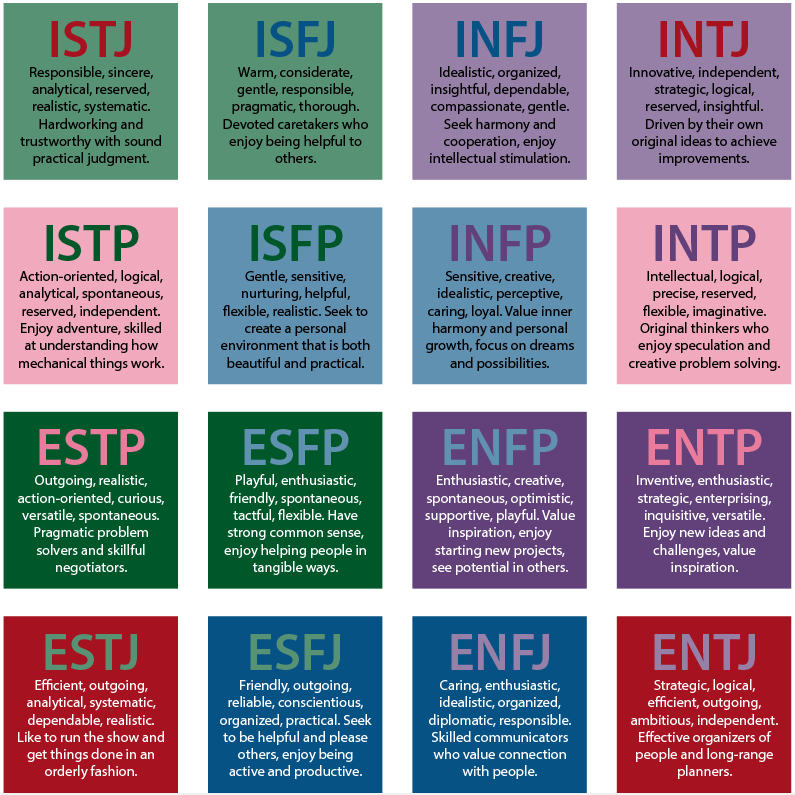 That's because, as the personality test points out, INTJs are frequently cast as villains in literature. One of my life struggles has actually been "How do I stop coming across as diabolical?" Believe it or not, I actually had to learn my conversational style over several years of focused effort and feedback from others. 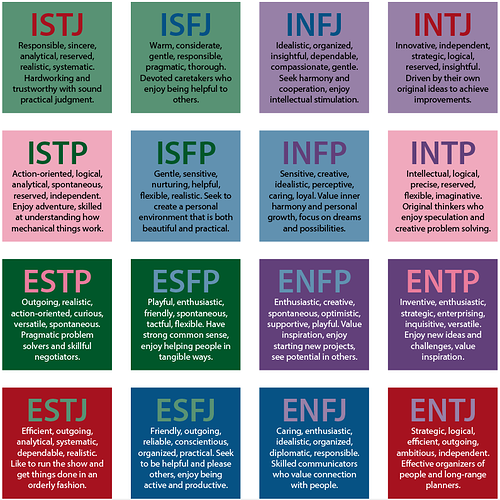 It comes naturally now - that's the thing about INTJs, is that we can learn any "mask", even if it is the right one (or at least I can, heh). Therefore the traits that make us so despicable can actually be used for good - an INTJ will boldly stand up for what is right when others may be more conciliatory, an INTJ who finds creative ways and multiple backup plans to defeat the bad guys, for example. It's just harder to do and gain respect doing it because people think you may have an alterior motive (or 7 - I tend to have multiple motives and know them all, heh). But God saves all people, even the most Palpatine-esque of us. 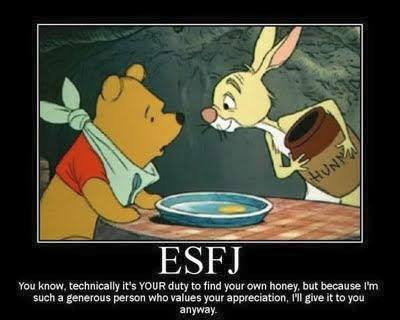 This is not to say that other personality types don't have struggles - I just don't understand them as well as I understand my own, if you follow, and I'm not going to make generalizations. The bottom line is this - we are ALL reformed villains who needed a savior...some of us are just more obviously that way than others. While you may not have intended this, @Ariella_Newheart, I find the idea of you not being surprised at @Xonos_Darkgrate1 being a villain and in claiming me being labeled one as unfortunate...there is a strong implication there that you think I'm better than him. I find that to be...icky. I don't blame @Xonos_Darkgrate1 for not putting as much effort into his conversational style as I have into mine. Clearly he has been developing other skills, like writing role-plays, which is actually making a more positive contribution to this forum than my rambling and highly unproductive posts. You might try treating him with a little more respect. I whole-heartily agree. Really, nobody wants to be called like, "Oh, this person is (some villain or bad guy or whatever)... I'm not surprised." It's just like treating someone as if they WERE the "Dark Side". Kind of like this scenario. Imagine I had a friend to rushed up to me crying badly. "I got my results on the test. I got 18/100!" "What? But you studied so hard!" "I did!" She sniffed back a sob. "And then... (some dude or dudette) said, "I'm not surprised." I really do respect both you and Xonos quite a lot. I mean no offense @Xonos_Darkgrate1 @Miss_S. I should have made my intentions more clear when I posted that. One of the moderators can delete it if you think it's not appropriate. No worries then. I can see how that statement might be taken differently, and I wanted to make sure I understood you correctly. Which, for that, I reflect that my previous post was entirely too long. @Cinnar_Ratchetloop You may have a counselor streak in you, too. Well, why don't we just go ahead and stay on the computer and look up MLP personalities, then, go and mess around looking at MLP bases no apparent reason, and also, we should probably go and sit on the couch and binge-watch Jessie. Sorry, but that will take a lot of time, so we can't be creative and work on Silver and Cinnar's drawings. And so that is what we did last night. SOWWY! I NOT GOOD AT SPEWWING IN DA MORNTING. Also, I quite enjoy it when someone refers to me as the "Dark Side". I don't stand for the Dark Side's beliefs, but it's easier for people to just call me that than actual delve deeper into my actual personality and life. So I don't blame them if they don't want to go through all that work and just call me a villain. It also saves me the pain of having to hear them saying that I'm actually a "good guy" "deep inside" when they really don't mean it or don't understand. Anyways, this hasn't really helped, but I'm willing to debate or explain anything that was misunderstood or understood but disagreeable. But seriously. Jar Jar?! Like, the most hated character in Starwars?